Let’s take a look at a few blue cards from series 4! 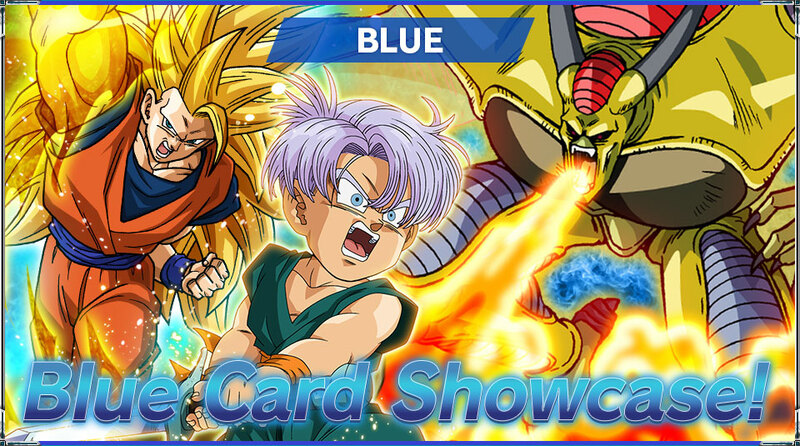 Blue in series 4 is mostly focused on Hirudegarn !! 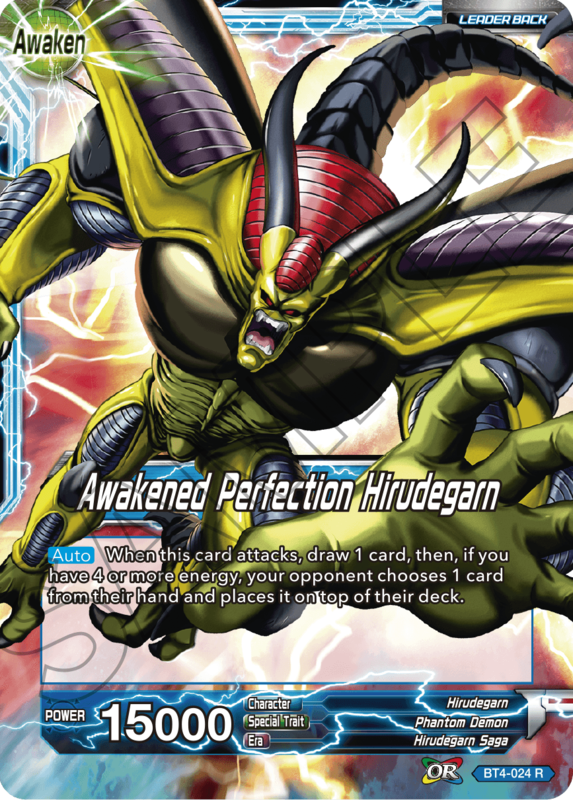 Hirudegarn boasts a powerful skill that forces your opponent to return cards from their hand to their deck. Limit your opponent’s options and lock them down! 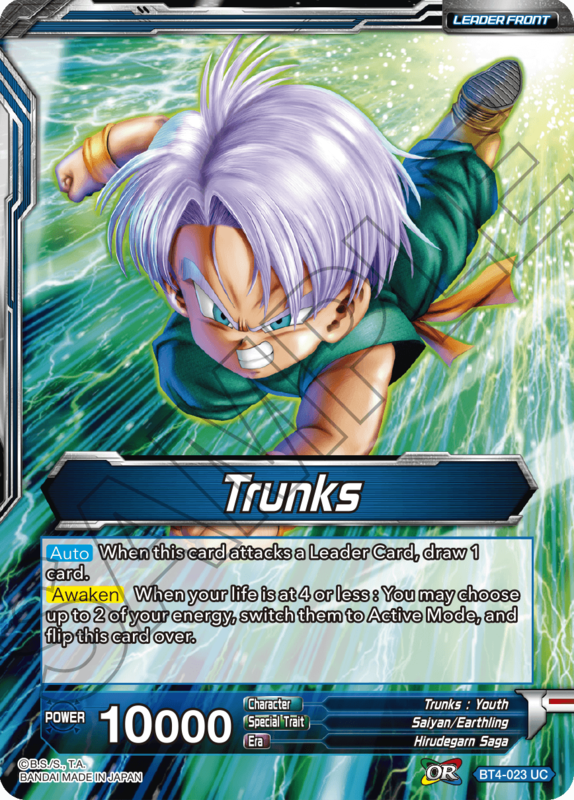 Trunks makes his first appearance as a Leader Card, and he’s the perfect fit for a flexible, mono-blue deck! 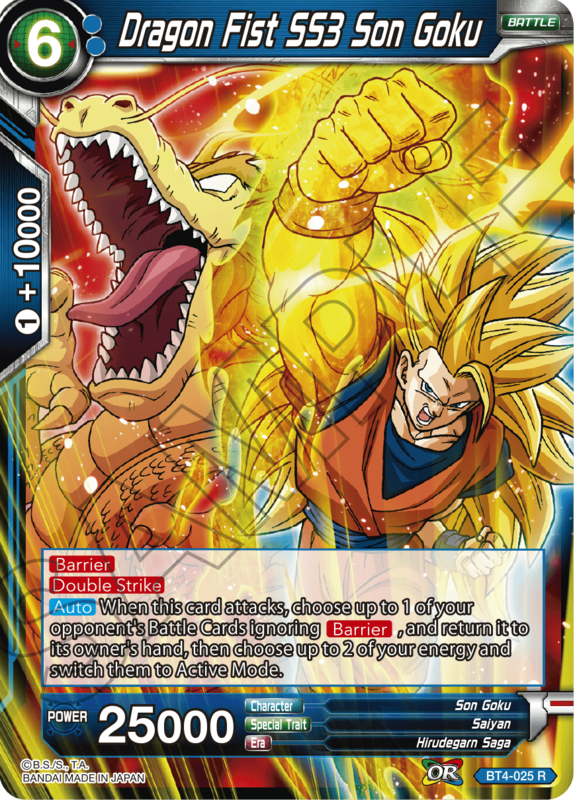 The card every Hirudegarn deck revolves around, and the key to fully reviving Hirudegarn in all his majesty! Use Tapion’s skill to fill your Drop Area and prepare for Hirudegarn’s inevitable return! With all of the pieces in place, all that’s left is to return Hirudegarn to his true form! 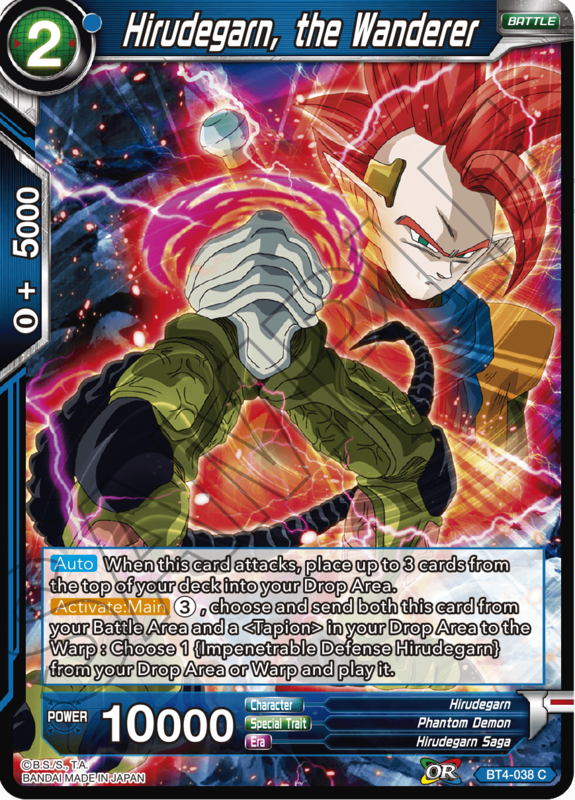 If you‘re using the Hirudegarn Leader, you can protect this card by sending it to the Warp. 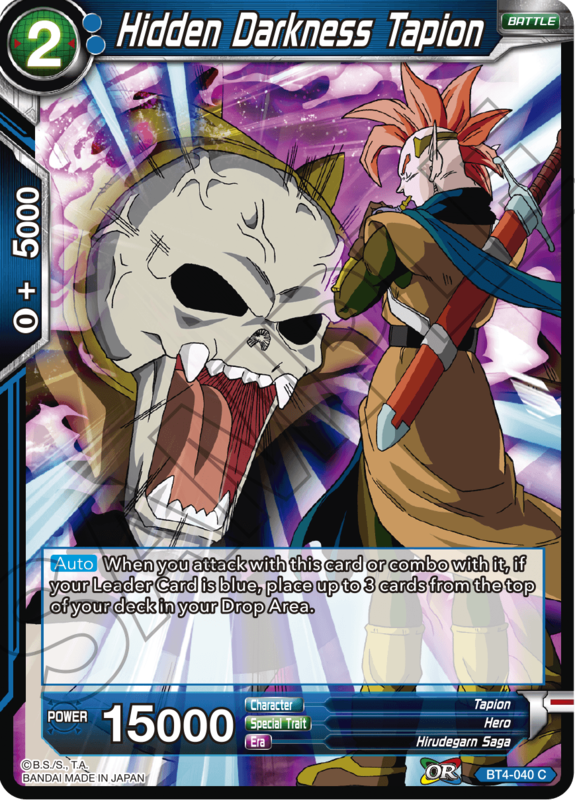 Put his skills to good use and ensure Hirudegarn’s true form makes it on the board! 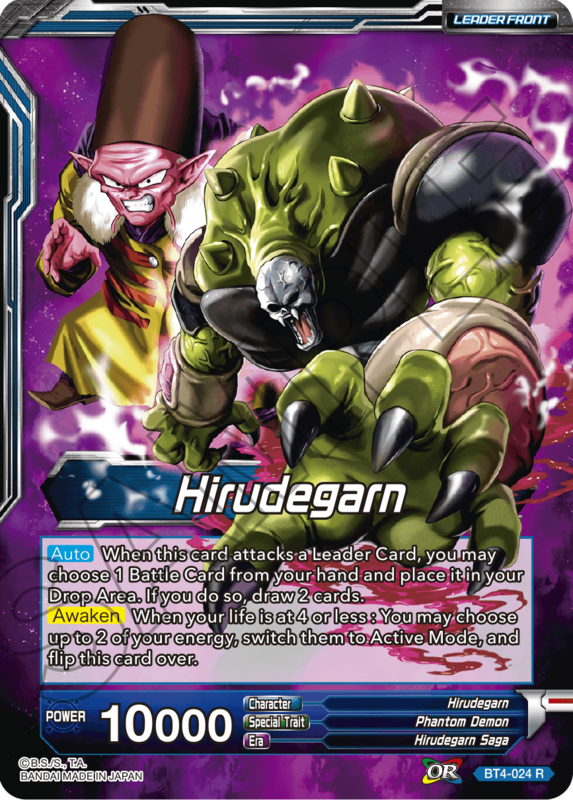 Hirudegarn’s true form is an SR, so stay tuned for more info! A counter card for keeping Hirudegarn safe before assembling him into his final form! 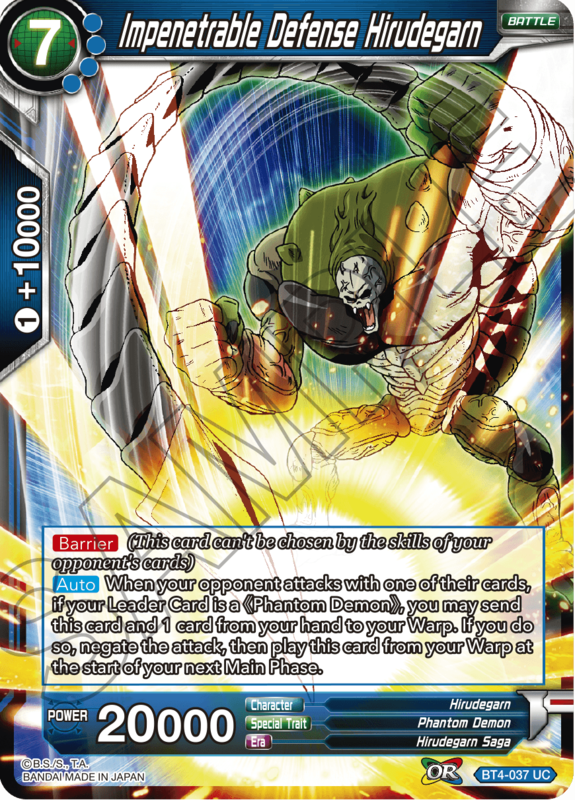 A powerful attacker that can bounce one of your opponent’s Battle Cards to their hand and refresh two of your energy! Use the legendary dragon punch from the movie to win games! 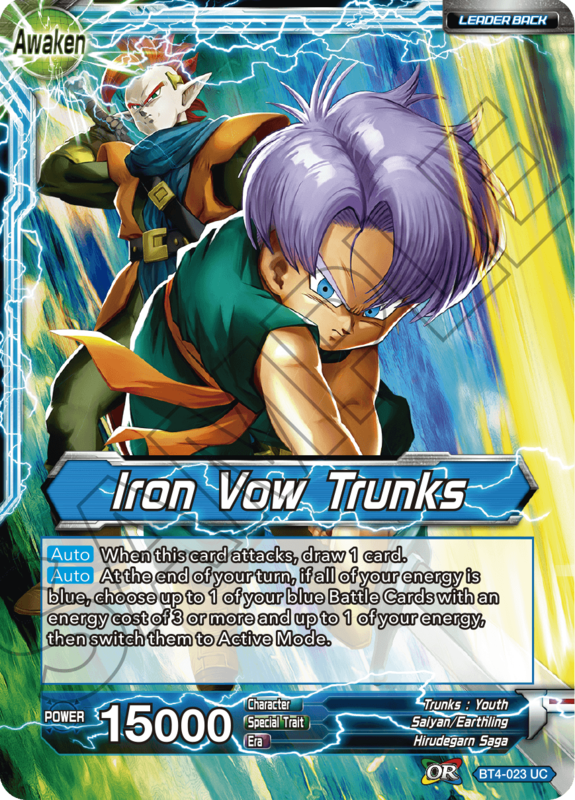 A card depicting the bond between Tapion and Trunks. 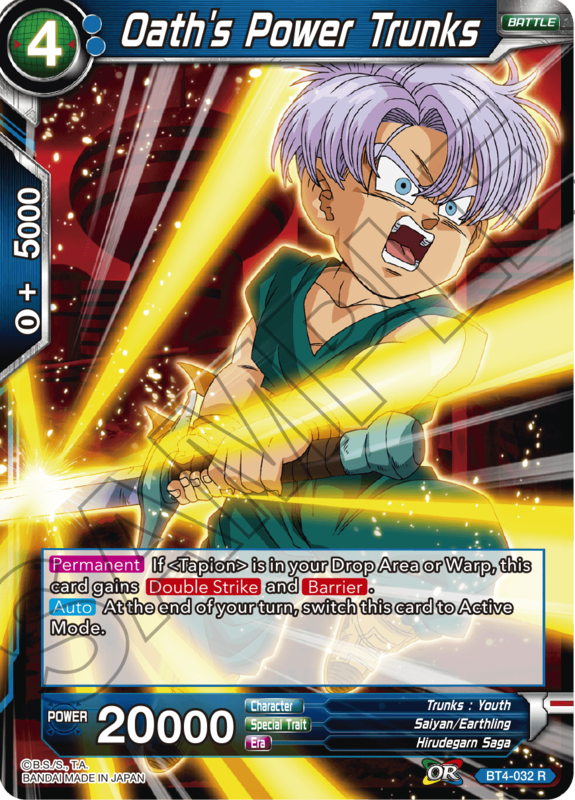 As long as Tapion is in your Drop Area or Warp, Trunks gains Double Strike and Barrier. He also switches to Active Mode at the end of your turn, so don’t hesitate to attack! 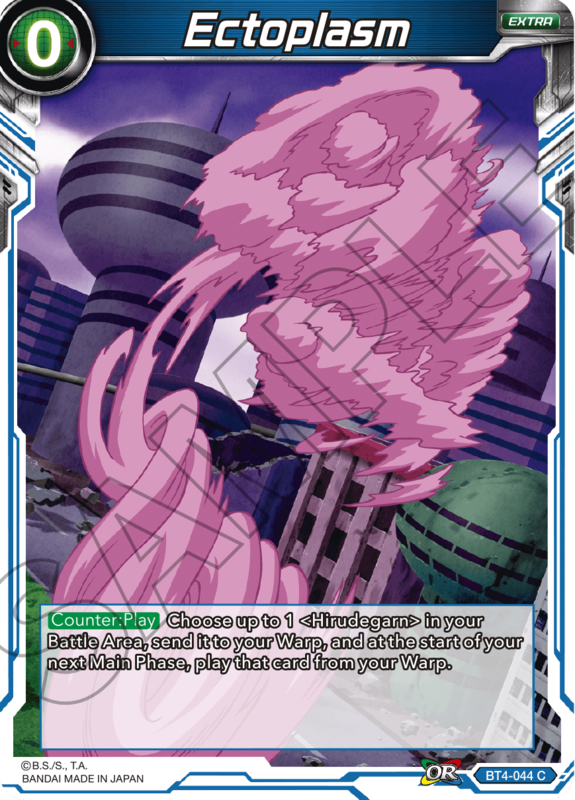 along with a ton of cards that return cards to your opponent’s hand!